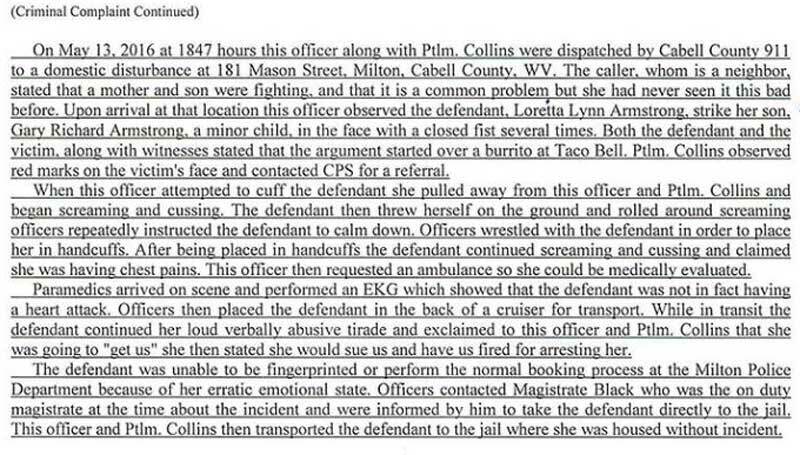 A West Virginia mother has been charged with child abuse after she allegedly punched her 15-year-old son in the face during an argument over a burrito. Loretta Lynn Armstrong, 48, was arrested on May 13th after police responded to her home in Milton on a domestic disturbance call. 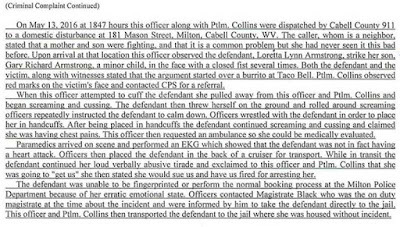 Officers spotted Armstrong punching her son over what both parties described as an argument over a burrito. 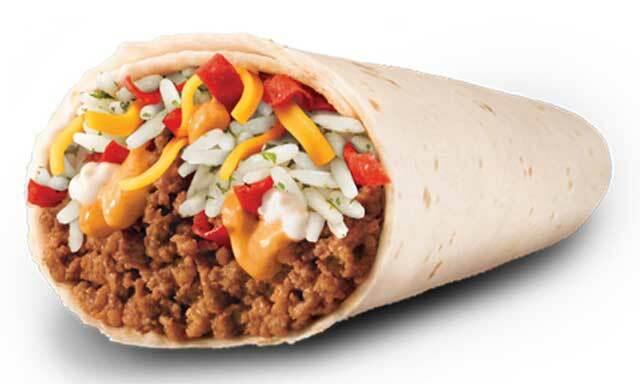 The teenager had apparently ordered the wrong toppings on his mother’s burrito when he went to a Taco Bell earlier in the day. “The mother was hitting her child in the face,” Cpl. Dean Bishop said. Armstrong then threw herself to the ground and complained of chest pains when officers tried to handcuff her, according to the Dispatch. “She screamed and cussed and yelled and claimed she was having a heart attack,” Bishop added. 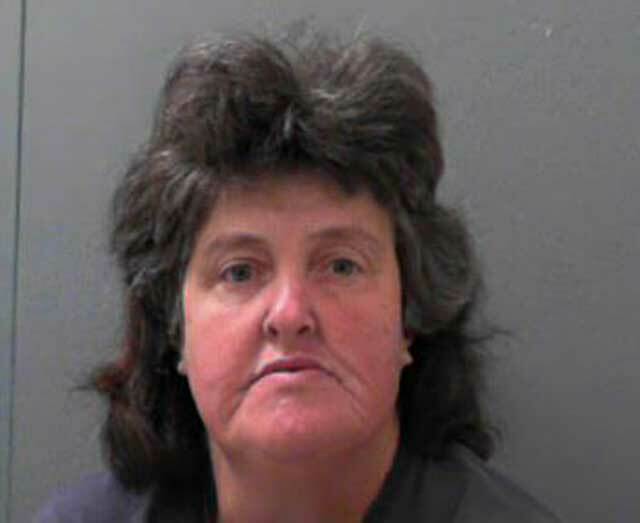 Emergency crews performed an EKG and determined she was not having a heart attack before she was eventually taken into custody. It took officers nearly three hours from the time they arrived at the scene to get Armstrong into custody. “There’s a difference between spanking your kid and punching your child in the face,” Bishop said. “There’s no sense in ever getting into an argument like that over a burrito —-just let it go.” Armstrong was charged with felony child abuse and misdemeanor counts of obstruction, intimidating a public official and disorderly conduct. Her face is twisted from the ugliness inside her.